While lasers once remained within the realm of science fiction, they have become an increasingly important component of our daily lives. This observation is especially relevant when referring to the medical sector. Lasers can brighten teeth, remove blemishes and correct cataracts. However, another common use involves the removal of unwanted body hair. How does this process work and what advantages will the professionals at UK Dermatologist provide? Laser hair removal is often employed to ablate specific hair follicles that are unsightly or otherwise undesirable. This long-lasting treatment is also more precise when compared to traditional methods such as shaving and waxing. Another massive benefit is that it is a pain-free option. A concentrated beam of light set to a specific frequency will be focused upon the root of the hair (known as the follicle). This beam is thereafter absorbed by the melanin within the hair itself. The light is converted into heat (much in the same way that a piece of dark paper will become warm when exposed to the rays of the sun). The heat travels down the shaft of the hair until it reaches a tube-like sac found at the base of the follicle. The sac is thereafter damaged; inhibiting future growth without damaging the surrounding tissue. One of the most important factors will involve the pigment of the hair in relation to the tone of the skin. 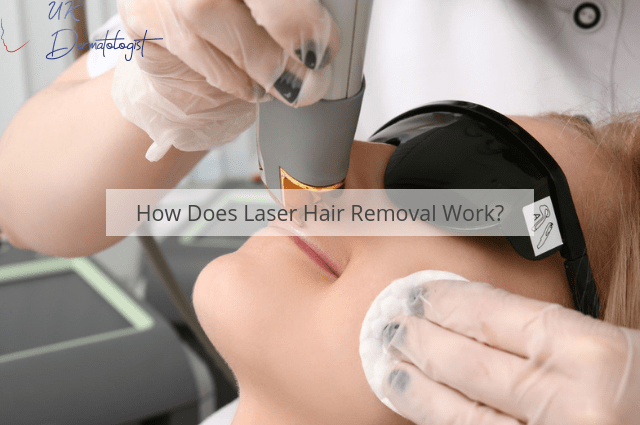 Laser hair removal works best when patients have dark hair and light-coloured skin. This arises from the fact that only dark surfaces should absorb the energy from the concentrated beam of light. The skin might be slightly damaged if there is little contrast between the hair and the epidermis (the surface of the skin). Still, the good news is that advancements in treatments have addressed this factor. In most cases, the hair will not be permanently removed. It will normally take several treatments in order to permanently prevent the hair from returning. Laser hair removal is a fast, effective and painless cosmetic treatment option. If you have grown tired of constantly shaving or waxing, our technicians provide expert laser hair removal in Manchester. Please take a look at our additional options and if you have any questions, a customer service specialist will be happy to help. Next PostNext What are the Common Risk Factors For Rhinophyma?